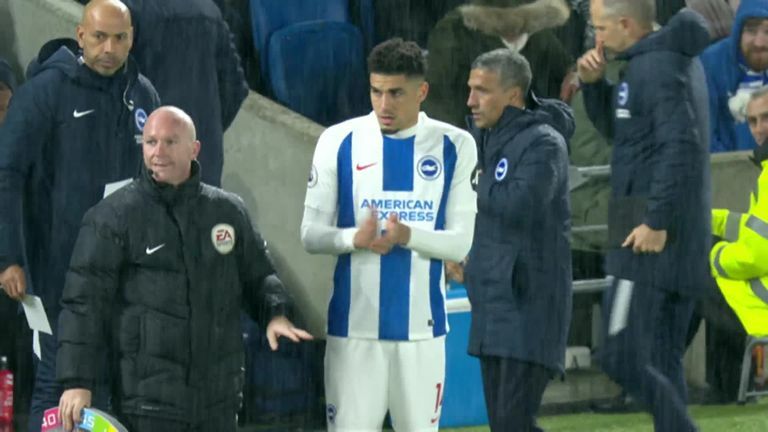 Brighton subtitute Leon Balogun doubled his side’s lead just 25 seconds after coming on in their 3-1 victory against Crystal Palace. Brighton substitute Leon Balogun doubled his side’s lead just 25 seconds after coming on in their 3-1 victory against Crystal Palace. It was an incredible impact from the defender, who had been brought on to help the Albion at the other end after Shane Duffy's red card. Glenn Murray had put Brighton ahead from the spot early on at the Amex, but Duffy's act of madness as he headbutted Patrick van Aanholt left them in a vulnerable position. However, Balogun was then introduced for Pascal Gross to replace Duffy in the heart of Brighton's defence, and immediately smashed one home from a corner. 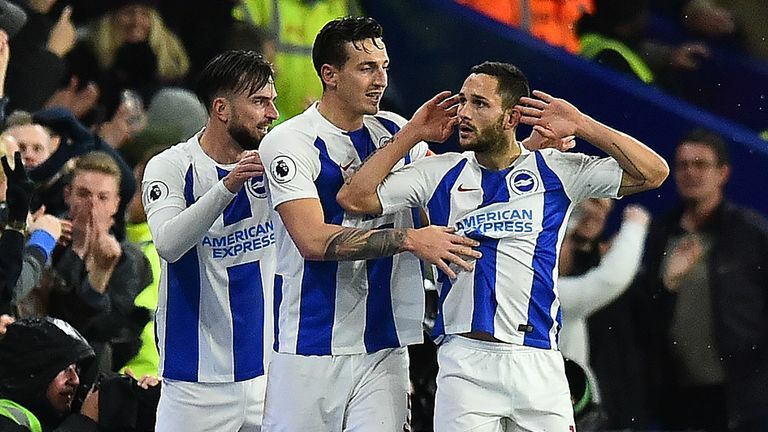 It would get better for Brighton later in the half as Florin Andone increased their lead, before Luka Milivojevic netted a late consolation from the penalty spot for Palace.